Wow, it took forever for the water to come down, although it is still very high, water is now safe to run. Because of the late start most of our weekends are already booked for salmon and sturgeon charters. If you are looking for a private charter for the canyon or trip to Hells Gate I do have some dates available. If you are looking for a open seat on a scheduled tour, there are not many left. Below i have listed dates that are available for anyone to book a seat on a tour, please e-mail me for private booking dates. 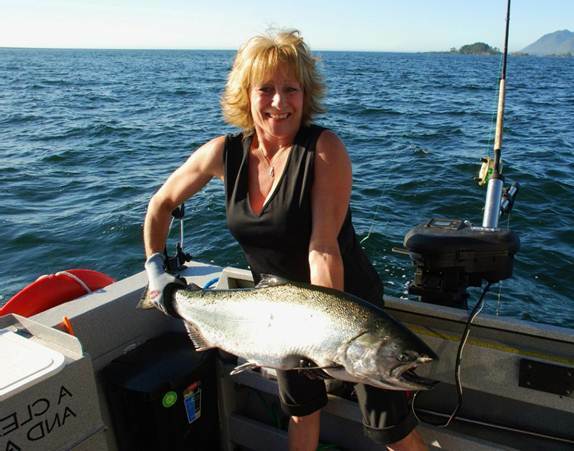 Fishing Charters are available both in Vancouver, Fraser Valley and Vancouver Island. Fishing has really begin to pick up, whether you are wanting to fish salmon, halibut, trout or sturgeon we have the venue. Our Fraser Salmon and sturgeon charters are beginning to produce some good results, The west coast is on fire for both Chinook & Coho as well as Halibut and Ling Cod. Our fly fishing trips up the Pitt are producing some great results and we are hopeful that the Vancouver area will begin to pick up soon. See below for detailed reports. The Vancouver area has been slow the past week, although there are a few salmon being caught it has been a painful week. Some anglers are picking up Coho at the mouth of the Capilano River but they seem to be far and few between. Some reports of Chinook heading up the Fraser but again, very inconsistent. The Fraser area should begin to pick up at test fishery is showing some decent number of migrating fish. We did hear of some decent fishing on the Fraser so maybe for the next week or so that would be a better choice. 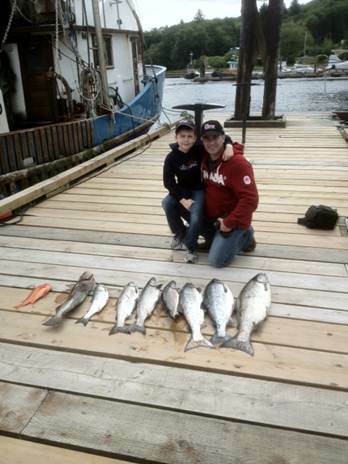 The West Coast is fishing very well for Chinook, Coho, Halibut and Ling/Snapper. All of our charters are leaving with limits of most species and the weather has been great. Soon the Coho will start moving in shore and buck tailing and fly fishing will get really good. If you don’t mind a bit of driving, we have a great location that offers accommodations and some of the best fishing you will find anywhere on Vancouver Islands West Coast. The Fraser River is dropping fast and coming into good shape. Although water is still high it won’t take long to drop to normal August levels. Water clarity is poor but we have heard of several Chinook salmon caught bar fishing with spin n glo’s, also heard of a few fish caught bottom bouncing. Doesn’t look like there will be any sockeye openings this season which is no surprise as this is a low cycle year in the 4 year cycle. We are expecting a good run of summer Chinook so we should see some good numbers of salmon being caught on the Fraser by middle of August. 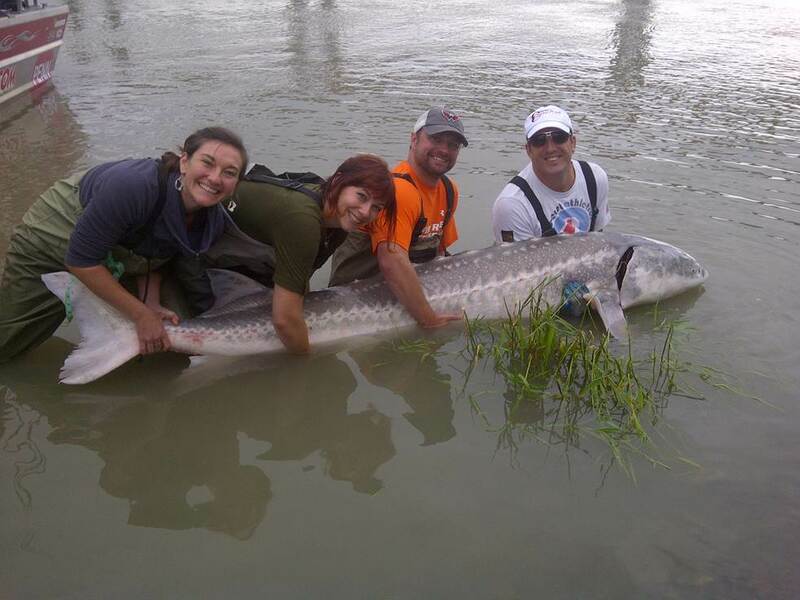 Sturgeon fishing has been a bit on the slow side with an average of 4 to 6 fish per trip. Although we are not catching big numbers we are catching some very larger fish. As you have probably heard there was a large sturgeon measuring 10 ft 10 inches ( fork length) caught recently in the canyon and a few fish over 9ft in the Mission area. I managed to land a very nice fish measuring 7ft 10 just the other day in the last few minutes of my guide trip. This monster measured 7ft 10 to the fork and was caught seconds before pulling in the last rod for the day. It pays to leave your rods in the water until the last second, the above fish was caught while I was reeling in the other rods to end our day. Never reel all rods in at the same time, let them soak as long as you can. This week has been amazing, we fished 3 days for trout and landed over 40 fish including some very nice Chinook and Sockeye on both fly and light spin tackle. I have some space available for early next week so call me to talk about this trip. Water is dropping fast and conditions will change very soon so if you want to take a shot at it, give me a call or drop me an e-mail. Want to get the most up to date fishing reports from the water ? You can either join our facebook page or go to our fishing blog site at http://blog.guidebc.com/ and click on the " follow us" button. That’s it for 2012 as of today. Hope you all have a great summer. You are currently reading Update for August 1st at Hells Gate Jet Boat Tours Blog.